You are here: Home / Dating Tips / Attraction Tactics / What does your body language say about you? It is your choice whether to listen or not listen to when someone else is talking. 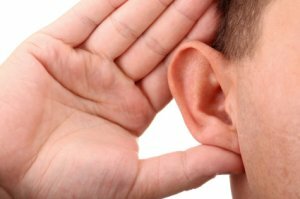 You listen when needed and want to, but do other people see you as a good listener? Listening skills are essential for good relationships and are also a critical skill in many professions, especially the helping professions. Whether you’re maintaining a happy marriage relationship, counseling someone with problems, or coaching members of your team for business success, good listening skills lead others to feel more comfortable. They will have more confidence in you and hold you in higher esteem. You may not realize how important your body language is, when others view you. It is even more important that your words. So, what says ‘good listener’ and inspires in others who speak to you the confidence that you really are listening? Your body language, of course! Even if you really are listening to every word, you won’t be seen as a good listener unless you have the right body language. A poor listener has many of these traits – leans away or even turns away slightly, arms folded, maybe a bit of impatient toe tapping, and frequently looking elsewhere. Or, if someone starts to read then you know for sure they’re not listening! And of course if your body language suggests you don’t want to listen, the other person will feel less comfortable talking with you and will be less likely to confide in you. This is a good recipe for creating distance and miscommunication in a relationship. A good listener shows five characteristics that can be remembered through the acronym “SOLER”. Face the other person square on. If you’re turned away, you won’t give the impression that you want to listen. Folded legs, and particularly folded arms can be subconscious signals that you really don’t want to hear what the other person has to say. Lean slightly towards the other person. This indicates an interest in what they’re saying. Leaning away from a person tends to indicate disinterest. Maintain normal eye contact with the other person. If you keep your eyes down, or keep looking away, you can give the impression that you’re not a comfortable or willing listener. Don’t be too formal or stiff. A relaxed posture suggests that you’re comfortable in the role of listener, and ready to hear everything the other person has to say. Start practicing your listening body language and SOLER now, and you will see the improvement of your interpersonal skill and relationships both on and off your job. Learn body language techniques now! One of the #1 things women say kills their attraction to men is the man’s inability to listen. Or to stop talking long enough to listen. I call this “sucking all the air out of the room”.